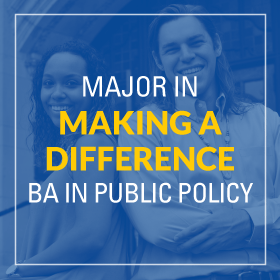 Join Ford School students on Wednesday, April 24, 2019 from 3:45-5:30 pm for their final Applied Policy Seminar student flash presentations in the Betty Ford Classroom (1110 Weill Hall). 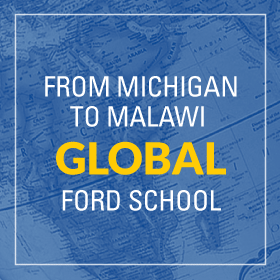 Join Ford School students on Wednesday, December 12, 2018 from 1pm-2:30pm for their final Applied Policy Seminar student flash presentations in the Betty Ford Classroom (1110)/Weill Hall. Reception to follow. RSVP Here .